We begin this week’s issue with the news that this week Suggs has been speaking to the Daily Star newspaper. In the interview Suggs mentioned the possibility of yet more concerts to be added to an already impressive 40th anniversary schedule. There was also mention of a potential return to the West End of the much-loved but short-lived (in its original incarnation) “Our House Musical”. With a massive tour already planned, two London celebratory concerts and a forthcoming book, this is going to be one packed year for the band. The last great Madness gig, Folgate Friday, was some four months ago now, but we could now bring you an exclusive video of “Africa”, the one and only time Madness had performed this track live from The Liberty Of Norton Folgate. Africa was the track Iain Horne once told us was his favourite from the album. Continuing with gig news, and this week we were pleased to learn of two new gigs. First-up the Lee Thompson band; Lee’s other band with son Daley would be performing at the Hop Poles, Enfield on the 25th April. Next, and the legendary Deaf School had revealed that they’d be performing at the Rebellion Festival, Blackpool on the 10th August. Moving on to our MIS feature for this week and it was good news for you real ale drinkers out there. Why? 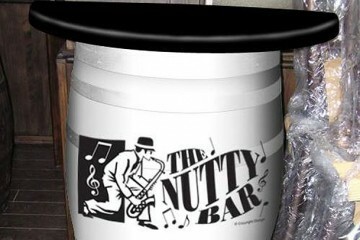 Well, the band had just revealed their third new ale. Entitled “Night Boat”, this was actually a stout, weighing in at 4.2%abv. The advertising blurb informed us that this was a limited edition stout that would only be available on traditional hand pump. Naturally, Camden’s Dublin Castle had recently added it to their ale line up. Over in our regular Live Intensified section Darren West emailed in with a short review of the Magic Brothers gig which took place on Tuesday night, while Jonathan Young and Sharon Staite gave us a lengthy write up of the recent Lee Thompson Ska Orchestra gig held at Dingwalls. We brought this issue to a close with the news that yet another Madness greatest hits album was on its way. Entitled “The Very Best of Madness”, this was due for release on the 7th April. If you shopped around this could be added to your collection for as little as £4.50. Oh to be one day be woken with news of a genuine rarities disc of any kind. We had a feeling this compilation wouldn’t be setting the world or the album charts alight. Following last weekend’s Saturday release, we were now back to our regular Sunday slot once more, and unless we had something special to announce, we’d be staying with the Sunday release dates for the foreseeable future. The new look, leather bound official Madness website opened it’s desk this week so we took the opportunity to give you a descriptive tour of the new sections, including a mood board where you could hear 32 seconds of one of the band’s forthcoming tracks, “The Hunchback of Torriano”. “All in all it’s a stylish new classic look for the official site, that was well over due, and is nicely executed. We look forward to visiting it, and as always we’ll keep you updated by email of when the site has updates”. Moving on, and as we’d always been strong supporters of North London band MOT, not only because one or two of their number are subscribed to the MIS, but also because their gigs felt exactly like how we assume the early Madness gigs were like, back in the late 1970’s, we urged you to vote for them in a Band Hacker web site competition. The winners of the compo would be given a recording contract with a major record producer. Well, what were you waiting for? The duo did well, but sadly crashed out in fifth place. It was on to Man Like Me news next, as we reported that the band had been booked to support Madness at their forthcoming Madstock 5 festival. For many this would be the first opportunity they’d have to see the band perform live. Madness Central news next, and following the 30 second upload to the Official Madness web site of “The Hunchback of Torriano”, Steve Bringe had spoken to Chris over the phone about the track, and kindly shared a number of tidbits with the rest of us. One of the snippets was that Chris had based the guitar on the style of Duran Duran’s Andy Taylor. Madness weren’t the only people relaunching their website this week, as Clive Langer and Alan Winstanley’s site has had a similar new look applied, which included an rss feed blog of news. They were reporting that their involvement on Folgate was finished, after 3 years of work. Madness were also going to be mentioned in the biography, which is an extract of a forthcoming book called “Producers on Producing”. We brought this issue to a close with the news that the Liberty of Norton Folgate had received a delay in being shipped. The waiting continued. The day after the previous issue of the MIS blasted forth across the internet a small snippet appeared on the Sun web site, and was kindly passed over to us by subscriber, Stav. “THE original seven members of MADNESS are set to sign a record deal for the band in the next fortnight. SUGGS and the rest of the baggy trousers gang plan an album of new tunes”. We are in rehearsals……the Sun has not got a clue what we are up to……. For those of us eagerly anticipating new Madness material, it now looked as if the wait would be that bit longer. Moving on, and after much badgering of our subscribers we were pleasantly surprised when subscriber Celia Moore revealed that she’d taken our advice and had managed to see MOT at Kentish Town’s Bull and Gate. “M.O.T. went down a storm at the Bull and Gate on Saturday, playing some old and some new songs, they are by far the best up and coming group around with a sound all their own but with hints of various groups especially Madness. Ryan can be delightfully Suggs-like and Danny is a devil on the drums, and with brilliant keyboard and guitar playing by Sam, Ian and Phil, this is the group of the future. Elsewhere, and although we’d been promising it for a few weeks, the sheer scale of the project meant that it was taking longer to pull off that we initially expected. What am I on about? The full transcript of Suggs’ recent appearance on Radio 2’s Steve Wright Show. Unsurprisingly, the fans didn’t learn too much about the band’s future plans, but the interview still proved to be an enjoyable read. 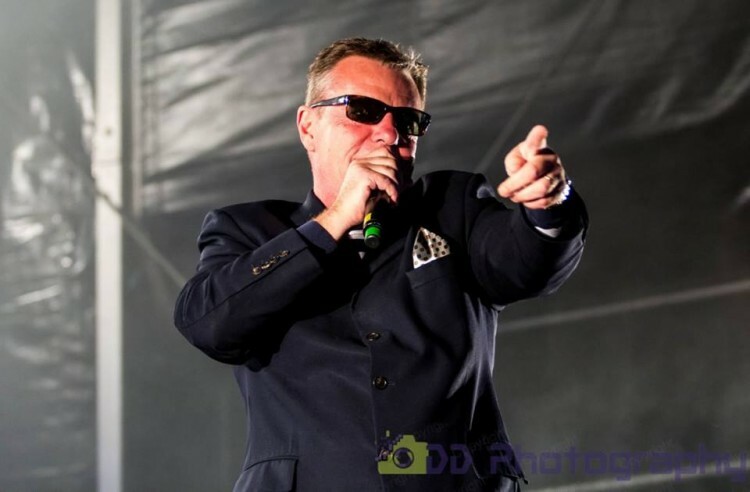 Suggs covered such topics as Salvage Squad, his home in Italy, and the fact that the band were extremely pleased with how the Christmas shows went, and were now talking about doing a new recording. We finished off this issue with an apology, due to the fact that the MIS web site had recently vanished off the face of the earth. No, this time it wasn’t due to me uploading some pages to the wrong section of the site, but down to the server suffering a fatal hard disk error, and our ISP not having a back-up. We kid you not! Madness are “talking” about bringing back their musical ‘Our House’ as part of their 40th anniversary. The iconic London ska band’s Olivier Award-winning show, which was co-written by Tim Firth, had a 10-month run at the Cambridge Theatre in the British capital’s theatre district between 2002 and 2003, and it could be returning for the band’s milestone celebrations. ‘Our House’ – which is also the title of the band’s 1982 hit from the ‘Rise & Fall’ album – is also a touring show and Suggs says if it comes back, it will still be the same production but refreshed. He added: “Now it’s the most popular amateur musical that has been performed. “After nearly 20 glorious years, The Water Poet as we know it is closing its doors for the final time on Friday 29th March 2019 due to redevelopment in the area” – The Water Poet. Those of you who are members of M, (A club consisting of any fan who owns The Liberty of Norton Folgate Box Set) are about to lose your club house. This pub is where the box set’s booklet urges you to wander down Folgate Street (about all that is left of The Liberty itself) and sup a pint here. You have a short time now to do so before month end closure and Norton Folgate loses this celebrated drinking hole on March 29th. You see, it’s just a 60 second walk around the corner to where the Madness album’s cover location for the liberty of norton folgate was photographed around 10 years ago. We have already lost The Light Bar, where Madness live in Norton Folgate took place that appears on the goggle box dvd set. The redevelopment of the area due shortly to be built on top of The Light Bar area will erode custom to this tradition east end boozer and so another little bit of Folgate sinks into the area’s past. I raise a glass and a bottle to some of the happy days there in 2009. The public house team will re open elsewhere, but things won’t be the same in terms of it’s reference in the musical history of the band’s greatest album. We wish them all well.